On the surface, it would seem as though the tech cabal – Facebook, Apple, Google, et al. – colluded with one another to strike Alex Jones from their platforms, all within the same roughly 12-hour period. But is there more to the story in terms of active, deep state involvement in this censorship conspiracy? 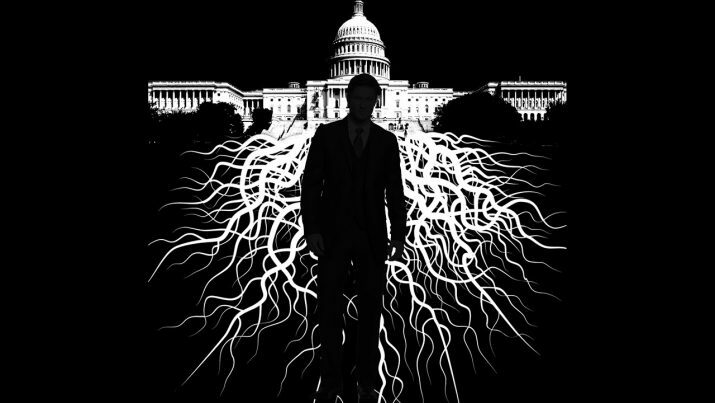 During a recent segment of his show, available at REAL.video, Jones spoke with Paul Joseph Watson about the many unanswered questions that linger with regards to this saga, including apparent involvement by the Atlantic Council, a who’s who grouping of deep state swamp creatures. In its efforts to “wipe out” internet memes that the lunatic left has dubbed “dangerous,” the Atlantic Council appears to have to worked together with the tech cabal to scrub the internet clean of all the “offending” material, using Alex Jones as its scapegoat. “This was the deep state itself, working with Facebook, to ban these pages because they inflamed political tensions,” Watson explains, pointing out that the board of the Atlantic Council is comprised of figures like Henry Kissinger who have long engaged in a full court press towards implementing a New World Order police state. Many liberals who were once champions of free speech when they felt as though they were being silenced have been shockingly complicit in this internet purge of some of today’s most powerful conservative voices. The excuse they’re using is that Facebook, Twitter, and other popular platforms are owned by “private companies,” and can thus do whatever they want. But there’s been much argument in recent days over whether or not this argument holds even a drop of water – the reason being that these platforms have become the go-to medium for public discourse. This, and the fact that some of them received “seed” money in their early days, paid for by taxpayers, to get them up and running. Watson further points out that many of these companies have also become so indistinguishable from the government in terms of the power they’re wielding that we’re seeing fascism, at best, being displayed before our collective eyes. “So it’s this whole, ‘oh, it’s a private company,’ no it isn’t,” argues Watson. Watson isn’t the only one calling for some kind of intervention to stave off this blatant crushing of online free speech. Mike Adams, the Health Ranger, recently published an article containing a White House petition calling on President Trump to take action to protect the First Amendment as exercised digitally. “Why should Mark Zuckerberg decide who gets to speak?” asks Adams. Be sure to watch the full exchange between Jones and Watson at REAL.video.